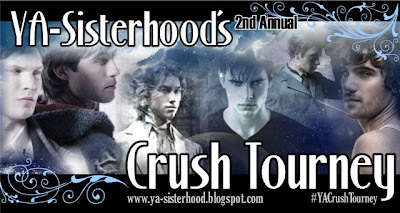 So as you probably know, the YA Crush Tourney has been going on over at The YA Sisterhood. Today, Simon is up against Etienne from Anna and the French Kiss. In case you don't know, Simon is from The Mortal Instruments series by Cassandra Clare. Simon is just your average teenager who gets turned into a vampire and caught up in a world of angels and demons. 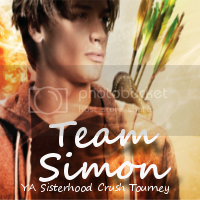 The lovable and sweet Simon could really use your help, so head on over to The YA Sisterhood and vote for Simon! I am sure he would really appreciate it! Click here for more Team Simon info and to grab the Team Simon button! While you are there, vote for Patch too, just cause I love him.